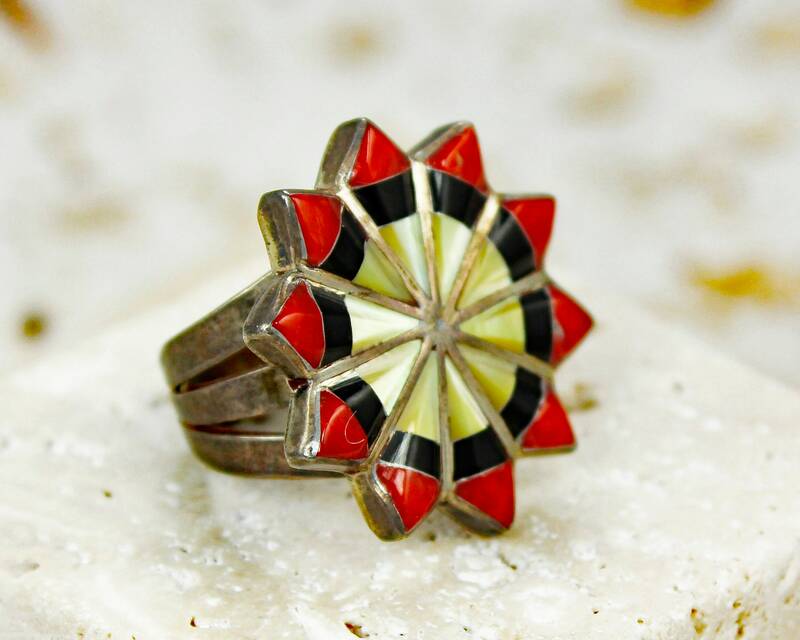 Vintage Southwestern Multi Stone Inlaid Sun Ring in Sterling Silver. 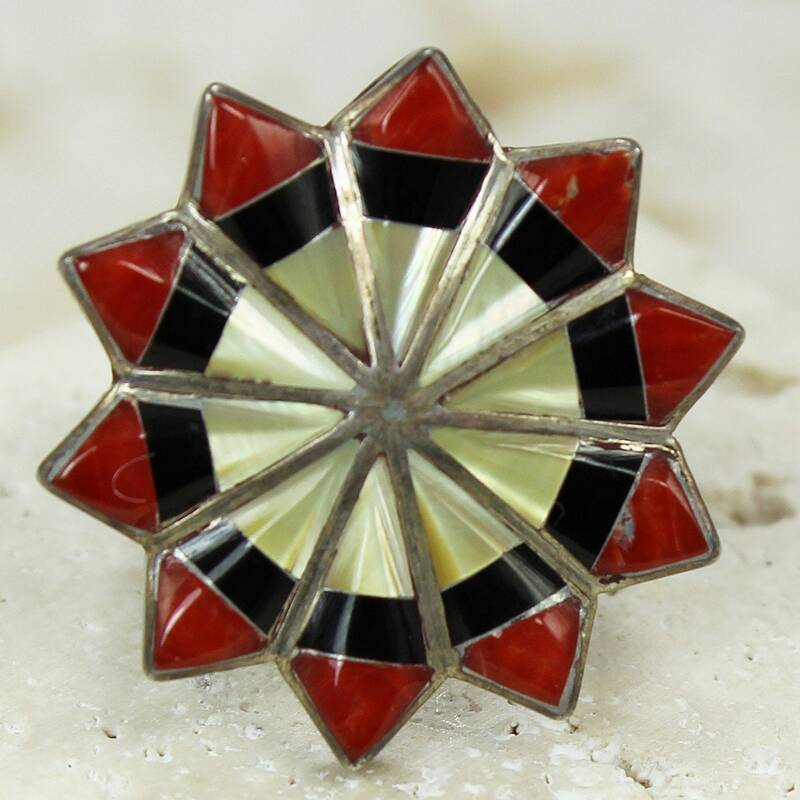 This handcrafted ring was made in the 1970s and has a three-dimensional sunburst of golden mother of pearl, red spiny oyster and jet, all hand carved and inlaid. HALLMARKS/HISTORY: Unmarked, but tested as Sterling Silver. CONDITION: In excellent, unworn vintage condition, with some patina you may choose to polish yourself. This is a New Old Stock ring and has never been worn. MEASUREMENTS: The top decoration measures 0.94" in diameter, while the band measures 0.19" wide between the split shanks.